The north end of the island, known as North Whidbey, contains the city of Oak Harbor, Naval Air Station Whidbey Island, several suburban neighborhoods and rural farmland. 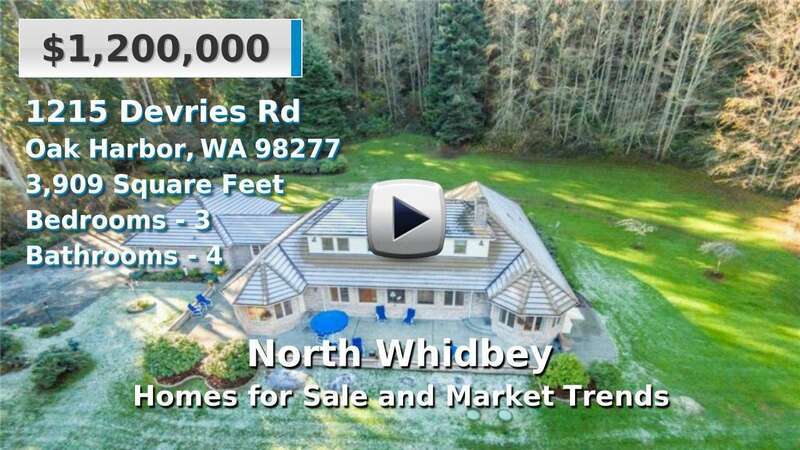 North Whidbey homes for sale range from small houses on small acreage to equestrian properties, traditional single family, and large, sprawling estates. Views of Puget Sound to the west and Saratoga Passage/Skagit Bay to the east are common; look for whales and bald eagles! This area is also home to Joseph Whidbey State Park, Whidbey Golf Course,and Deception Pass State Park, a large marine park and iconic bridge to Fidalgo Island. 3 Beds | 2.5 Baths | 2869 sq. Ft.
4 Beds | 2.5 Baths | 3872 sq. Ft.
3 Beds | 4 Baths | 3909 sq. Ft.
4 Beds | 4.75 Baths | 5411 sq. Ft.
Blue Summit Realty has the most accurate and up to date North Whidbey real estate listings on the web. Currently there are 7 homes for sale, and 6 vacant land properties in North Whidbey. Of the 13 total North Whidbey residential listings for sale 0 are bank owned, 0 are short sales, 0 are new construction, and 0 are townhomes. The price ranges from $349,900 to $0 with a median list price of $790,742 and median sold price of $413,750. Make sure to refine your North Whidbey real estate search by property type, price, square footage, bedrooms, bathrooms and more with the search tool above or view the North Whidbey listings on our interactive map. Our North Whidbey real estate listings were updated 13 minutes ago.